Now on display at Electronica 2014, the SmartConnect SAM W25 module is the industry’s first fully-integrated FCC-certified Wi-Fi module with a standalone MCU and hardware security from a single source. The module includes Atmel’s recently-announced 2.4GHz IEEE 802.11 b/g/n Wi-Fi WINC1500, along with an Atmel | SMART SAM D21 ARM Cortex M0+-based MCU and Atmel’s ATECC108A optimized CryptoAuthentication engine with ultra-secure hardware-based key storage for secure connectivity. With nearly 5 billion connected devices expected next year with another 25 billion predicted by 2020, designers are now demanding more flexible, cost-optimized modules that provide a complete end-point solution from a single vendor. The fully-integrated SAM W25 delivers a secure ‘plug and play’ solution integrating wireless technologies with the design flexibility required for these IoT developers. The billions of devices in edge nodes IoT applications will be powered by an embedded processing unit such as an MCU, and connected through a secure wireless signal. As more embedded developers start designing IoT apps for smart, secure connected devices, the need for solutions that integrate an MCU, hardware security and pre-certified wireless connectivity solution into one box will become a critical piece of the IoT puzzle; thereby, designers will no longer need wireless or encryption expertise to create an IoT gadget or gizmo. 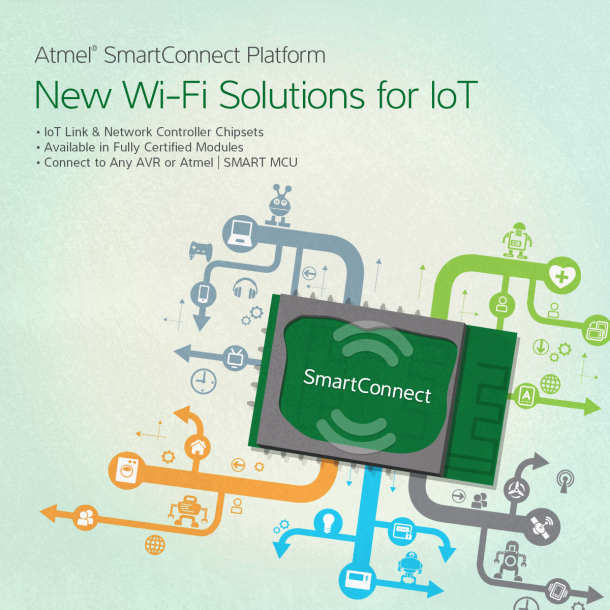 Atmel’s FCC-, Telec-, IC- and CE-certified SAM W25 is a standalone solution that gives designers an all-in-one platform with a low-power MCU, hardware security and FCC-certified wireless connectivity from a single source. The small packaged module is cost optimized to lower the overall bill of materials for battery-operated applications ranging from remotes to home automation devices and beyond. 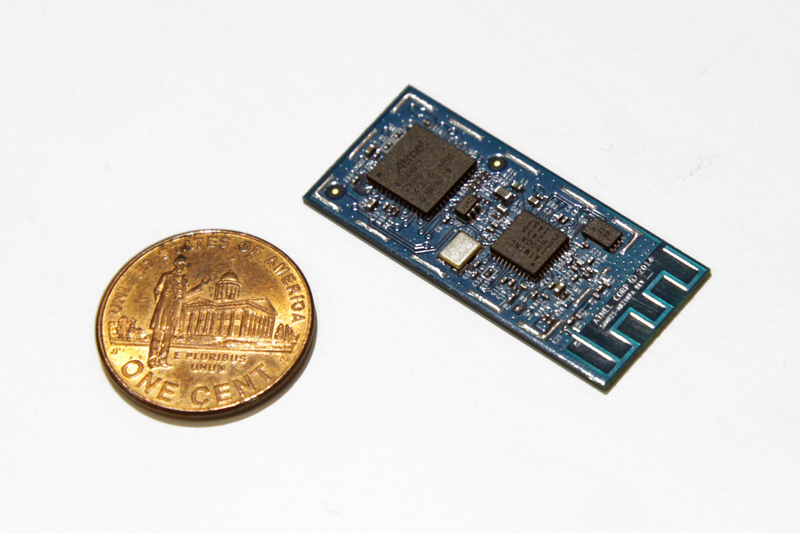 Though the Atmel SAM W25 module won’t be available until December 2014, Electronica attendees can now get a firsthand sneak peek at the ‘plug and play’ solution. To help accelerate design development, Atmel offers a SAM W25 integrated module on an Xplained starter kit platform which will be available next month as well. This entry was posted in Design Trends, Events, IoT, Product News and tagged ARM Cortex-M0+, ATECC108A, Atmel | SMART SAM D21, CryptoAuthentication, Internet of Things, IoT, SAM W25, SAM W25 Module, Wi-Fi Module, Wireless Module on November 12, 2014 by The Atmel Team. Sounds exciting! Any ball park numbers as far as what it’s going to cost?